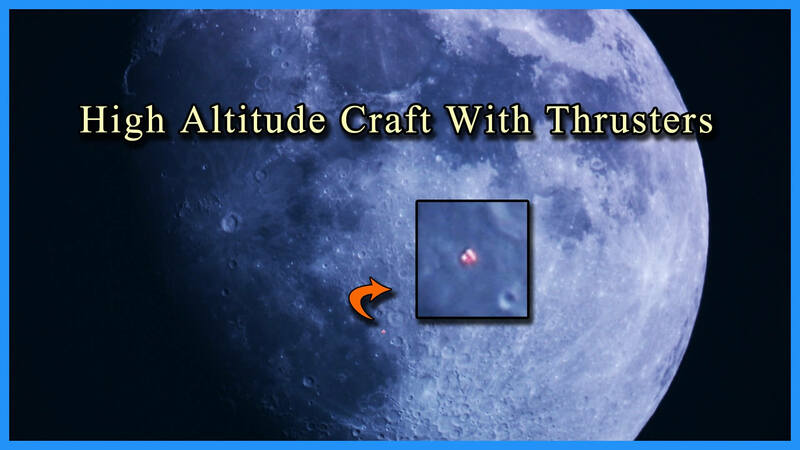 An amateur astronomer who was watching the moon through his 8 inch telescope detected the presence of a foreign object flying over the surface of our satellite. The astronomer, who responds to the nickname of Mr. Crrow777, uploaded to his Youtube account a recording of this intriguing capture, obtained shortly before sunset. The video clearly shows a strange ship of nearly spherical shape that seems to propel high with what appear to be three engines that allow you to rotate on its axis while moving. The images show how these propellers are driven repeatedly, and according to the explanations of Crow, decelerates when this happens. One wonders about whether it is an object of extraterrestrial nature or, on the contrary, could be a secret prototype made ​​by man. In this case: Is there a secret program with more advanced technology related to the lunar colonization ? This capture clearly raises many question marks. Is this object of extraterrestrial nature, or it could be a secret prototype made by man? The detailed analysis provided by Mr. Crow that meets almost all doubts on whether the object is only remains of space debris or other explainable phenomenon. So, could this unique and detailed capture prove once and for all that there is black budget programs and that military or any other earthly agency has more advanced technology to our time? Another interesting theory comes from the UFO hunters is that the mysterious object is in fact extraterrestrial in origin. According to his view, other intelligent alien species are not necessarily much more advanced than we are, and technology may be related in some way to ours. Another hypothesis states that the object in transit may have come from a spaceship or a mothership that is parked behind the dark side of the moon, so that no ground-based telescope can see it.